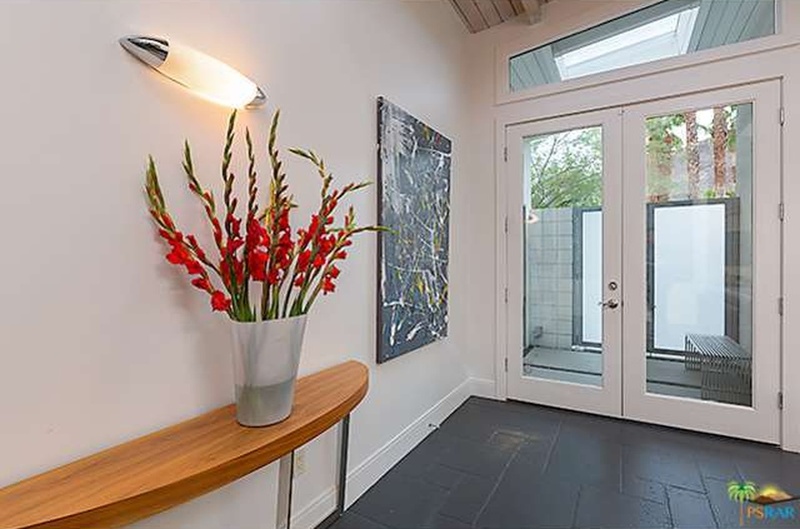 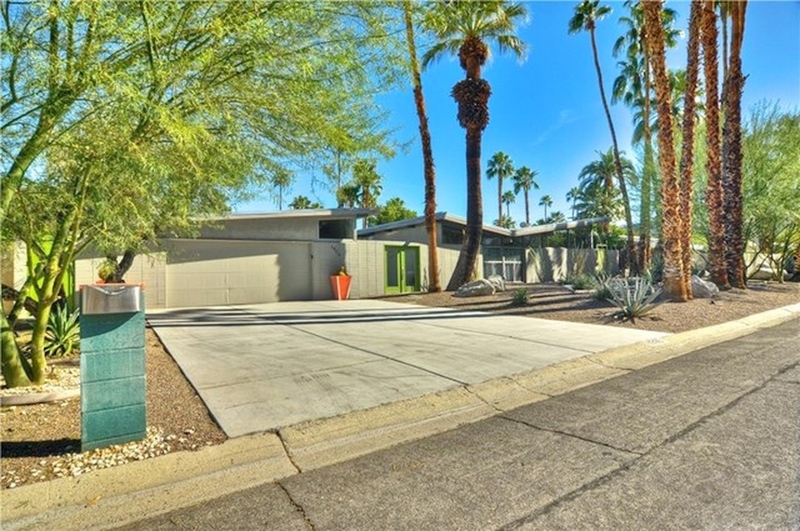 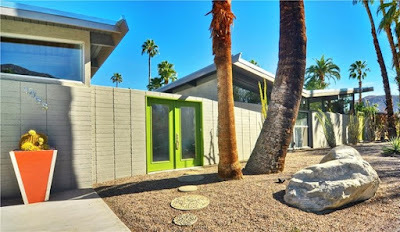 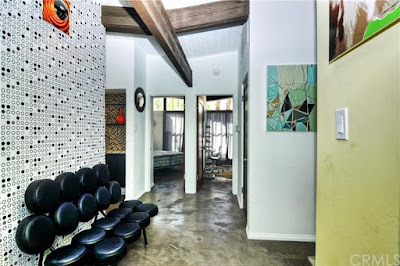 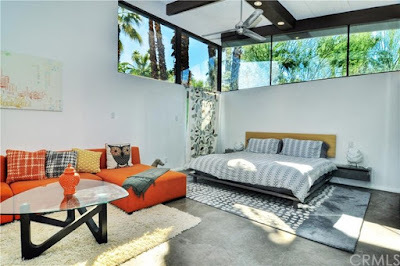 Built in 1961 by the Alexander Construction Company is this expanded Palmer & Krisel-designed midcentury home which was fully renovated in 2008 and again in 2012. 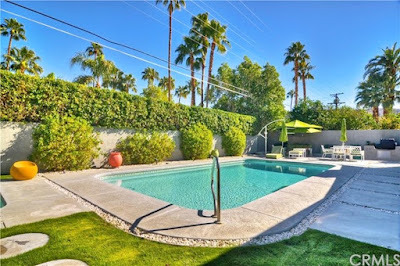 Including a detached guest house, this home features four bedrooms and four bathrooms in 3,290 square feet, a two car garage and an in-ground pool and spa on a .28-acre cul-de-sac lot with an asking price of $1,695,000. The exterior of the home exudes a great mix of midcentury modern and modern elements, with opaque garage door and courtyard gates, and classic H-shadow block on the façade of the home. 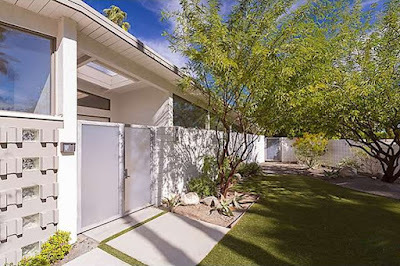 The landscape is desert modern, with dramatic black stone juxtaposed against water conserving artificial turf. A portion of the original courtyard , behind the H-shadow block, was annexed for additional living room space by a previous owner in 2008. 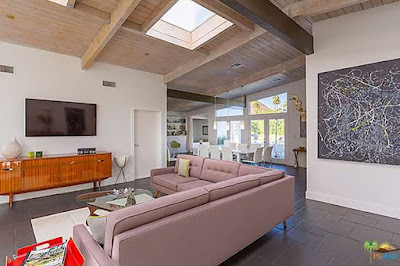 The living room sits at the front of the home, and features Krisel’s signature open, beamed ceilings which have been modified with several skylights letting in additional light. The dining room sits to the rear of the home and overlooks the backyard and swimming pool area. 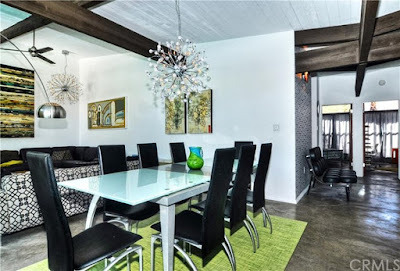 A small seating area sits at one side of the dining room, and leads to one of the guest bedrooms. 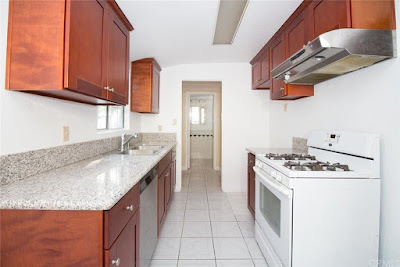 The kitchen lies just off of the dining room at the rear of the home, and features the cabinetry and updates from the 2008 renovations with granite countertops, stainless steel appliances and a farmhouse sink. 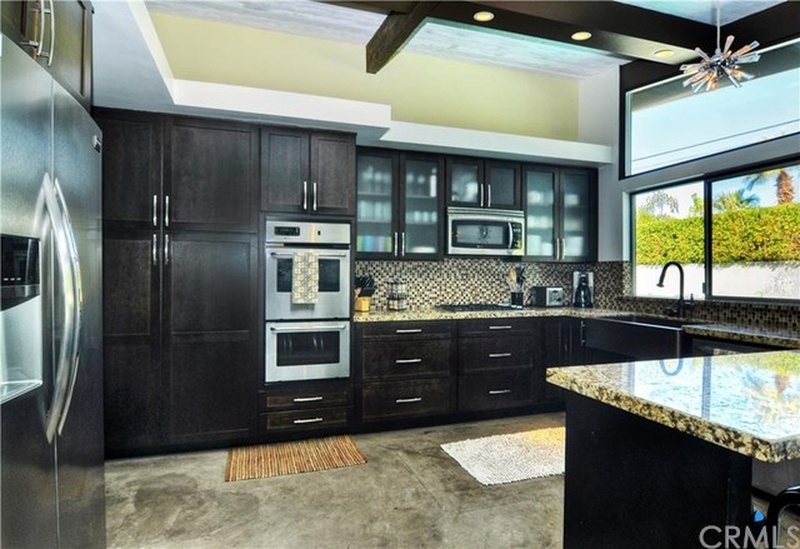 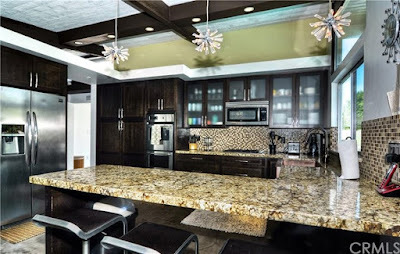 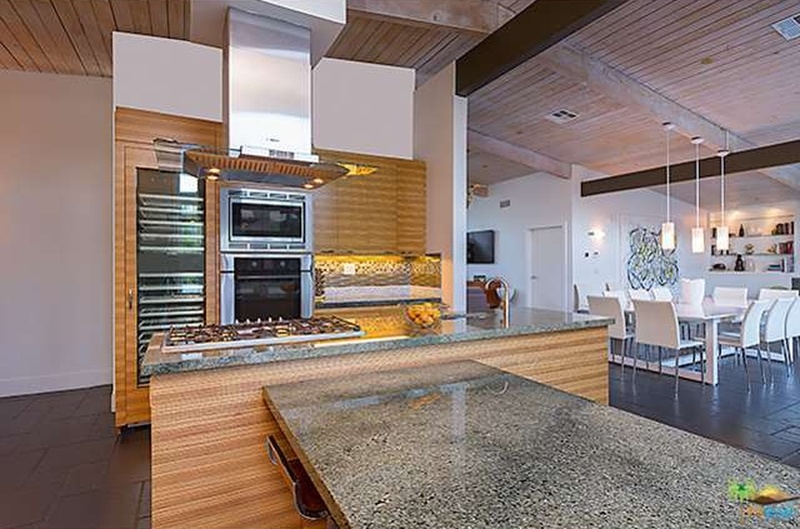 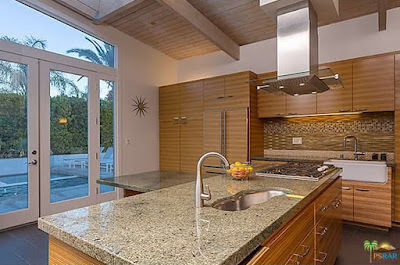 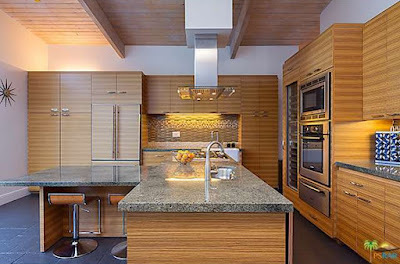 A large central island supports the cooktop, prep sink and a large breakfast bar. 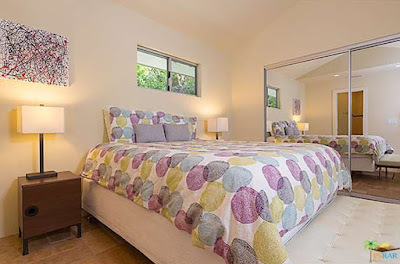 The master bedroom overlooks the swimming pool, and provides a pair of single-pane French doors to the yard area. 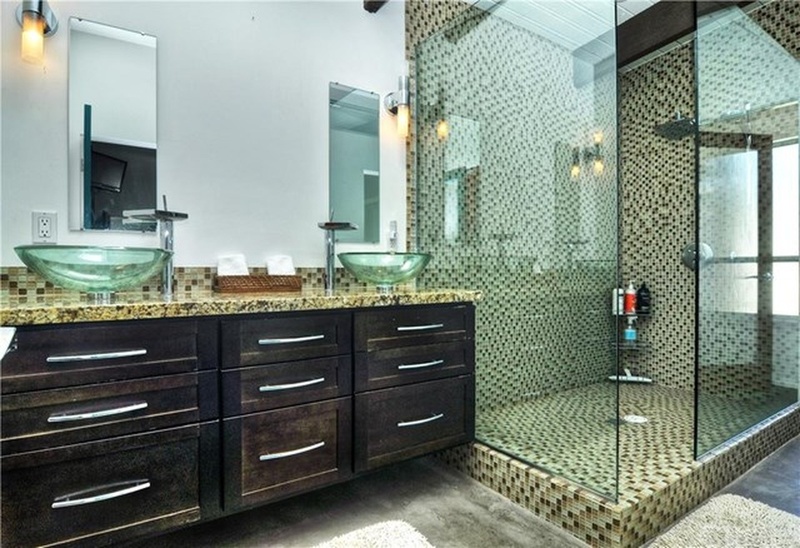 A large spa-like master bath sits off of the bedroom along the back of the home, providing both a large shower and soaking tub, dual vanity and mosaic tile accents. The remaining two bedrooms sit at the front of the home, and like the remainder of the house, feature clerestory windows and vaulted ceilings. Out back is an entirely detached guest casita with its own bedroom and bath overlooking the pool area. The pool itself is long, linear and architectural, with a decorative shadow H-block supporting a water feature focal point. Large privacy shrubs surround the walls of the yard, and stunning views of Mt. San Jacinto make the yard a dreamy escape. 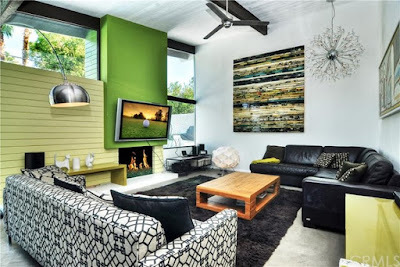 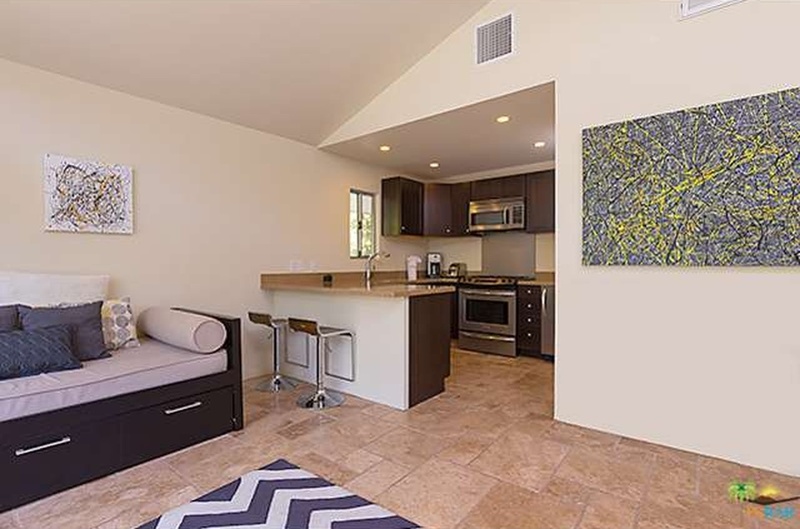 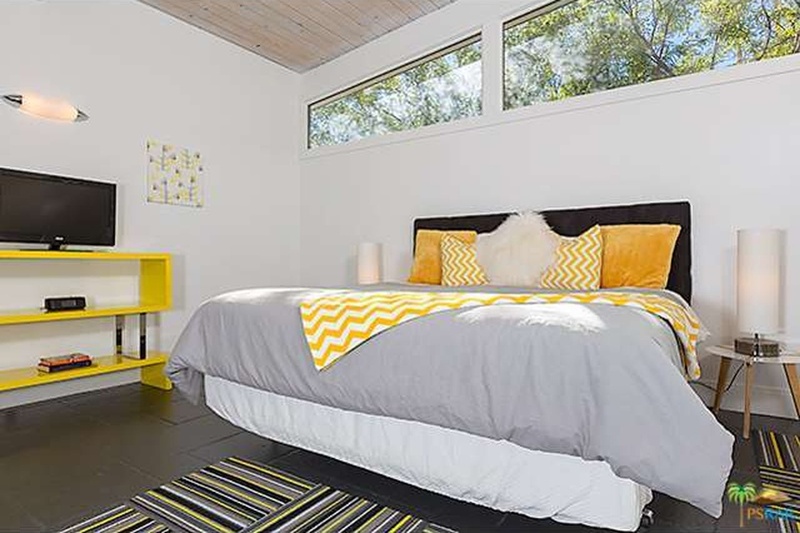 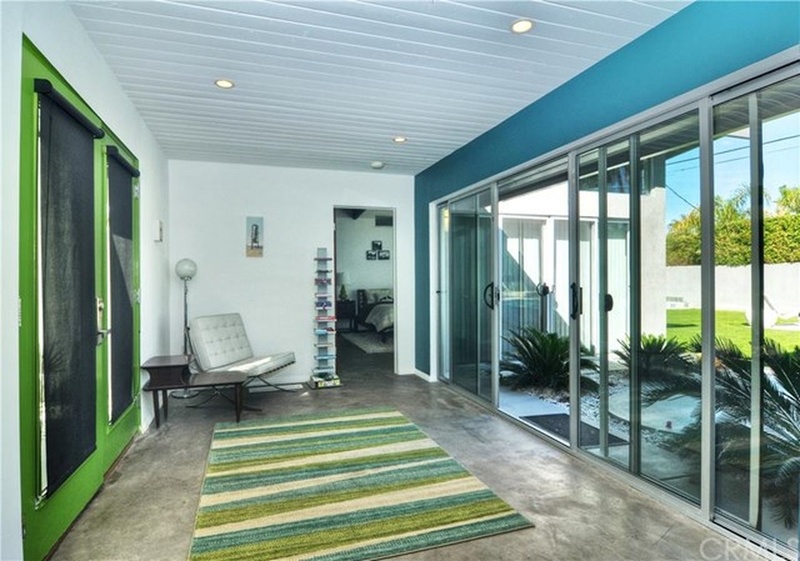 If you're looking for a midcentury home with modern updates, be sure to check this one out. 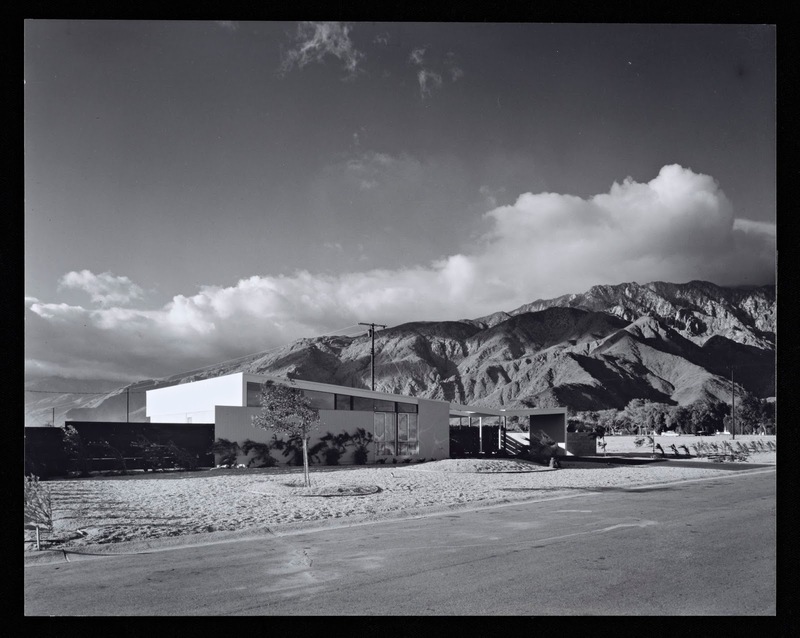 New for today - Five Julius Shulman photos c. 1958 have been added to the Racquet Club Estates Photo Gallery page. Check out the link to the left or click here to open the gallery up in a new window. 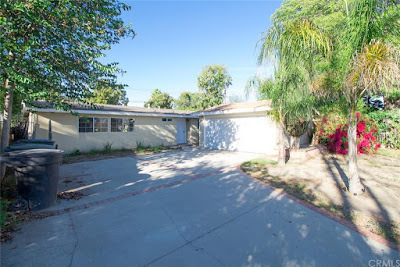 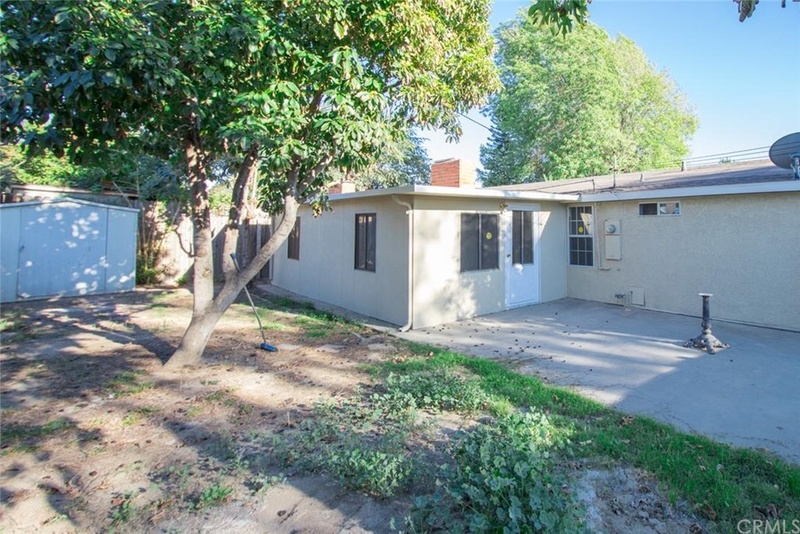 Situated in western Pomona is this affordable Palmer & Krisel-designed home built in 1955 by builders Weber-Burns featuring four bedrooms and two bathrooms. 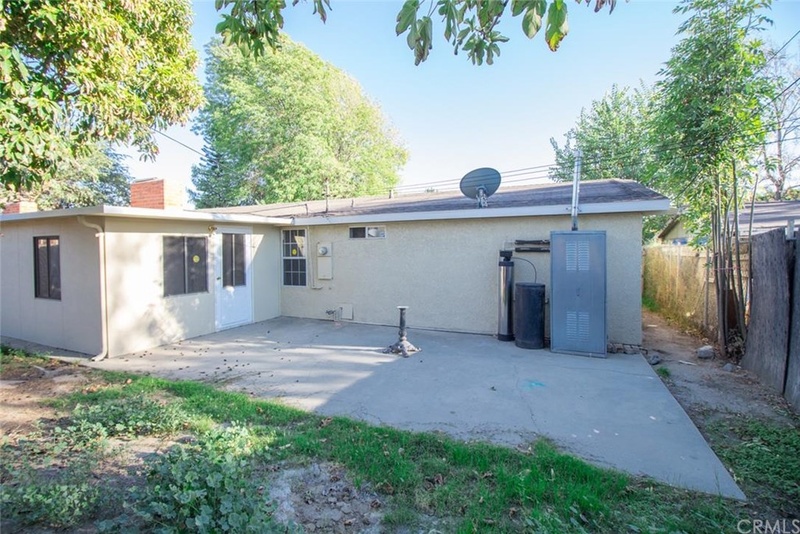 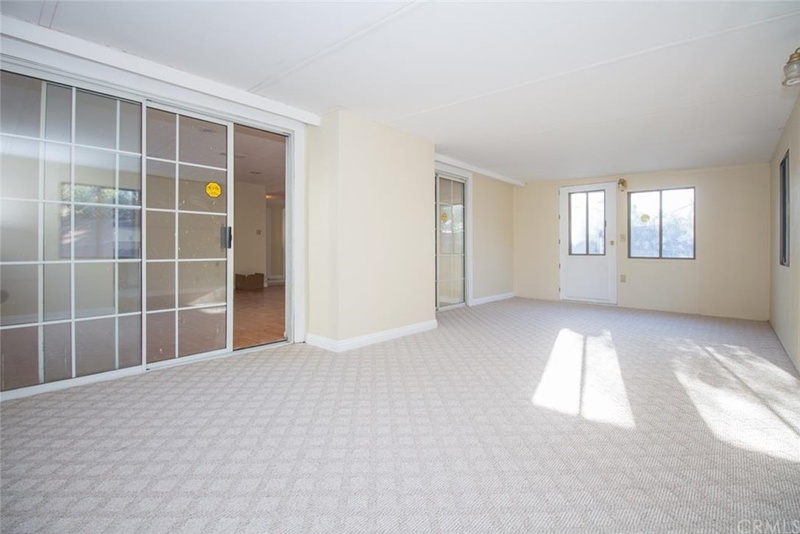 With 1,200 square feet, there’s an enclosed sunporch at the rear of the home and a detached two-car garage, situated on a 5,800 square foot lot with an asking price of $319,900. 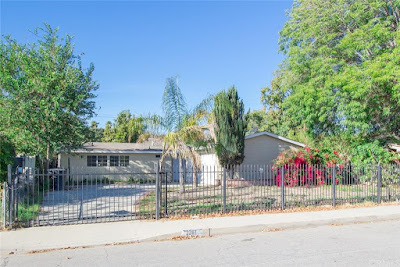 Like most homes in Valwood Estates, the front yard of this property has been enclosed with a wrought iron fence and gate, creating an unwelcoming appearance. A sweeping driveway leads to the detached garage and front door, and is accented with red brick insets. 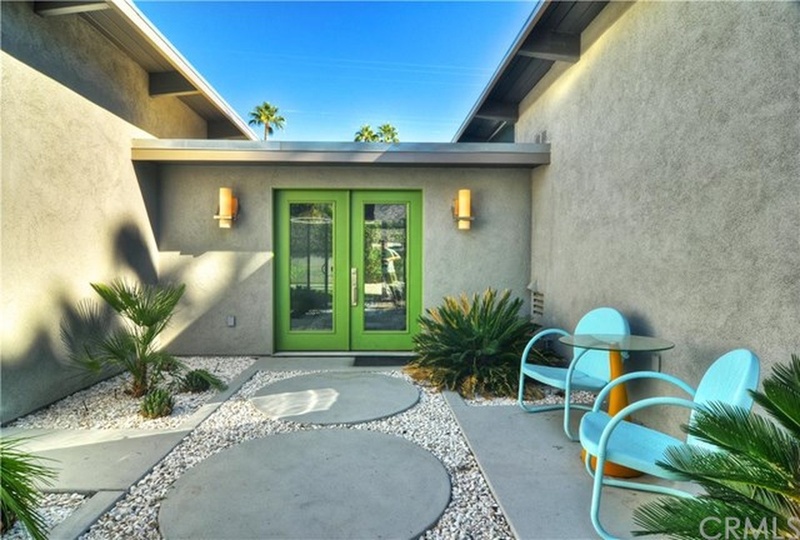 The exterior of the home has had a choppy lace stucco finish applied to it, and all windows have been swapped out for mullioned white vinyl replacements, another staple of Valwood Estates. 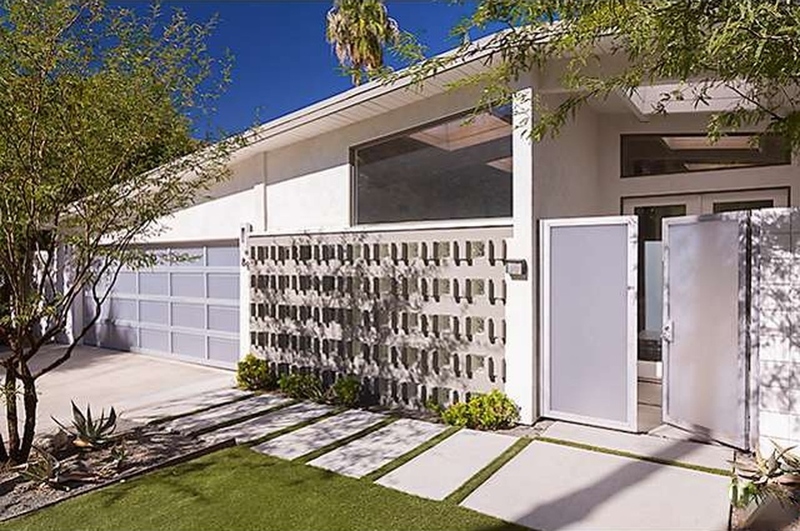 Inside, the home has pretty much had all midcentury modern elements sanitized out of it in favor or big-box store updating. 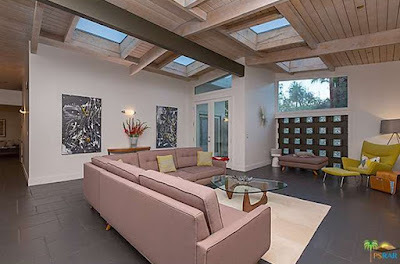 The open, vaulted celotex ceilings have been partially dropped down, creating a coffered ceiling effect. This lowering of the ceiling has also deleted the clerestories at both ends of the house, cutting down on the amount of natural light entering the home. The living and dining room sit at the back of the house, and overlook the sunroom. The original fireplace has been removed and drywalled over; however, the chimney is still in place, boxed in and visible in the sunroom. 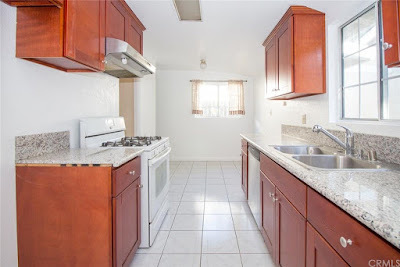 The kitchen has been updated with cherry stained cabinetry, granite countertops and mismatched appliances. The four bedrooms in this plan are all fairly diminutive in size, as four bedrooms in 1,200 square feet is a tight fit. 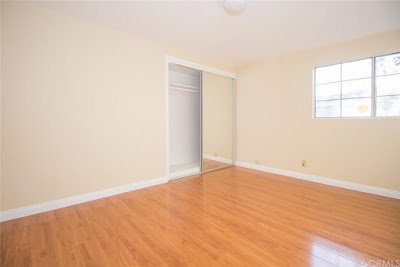 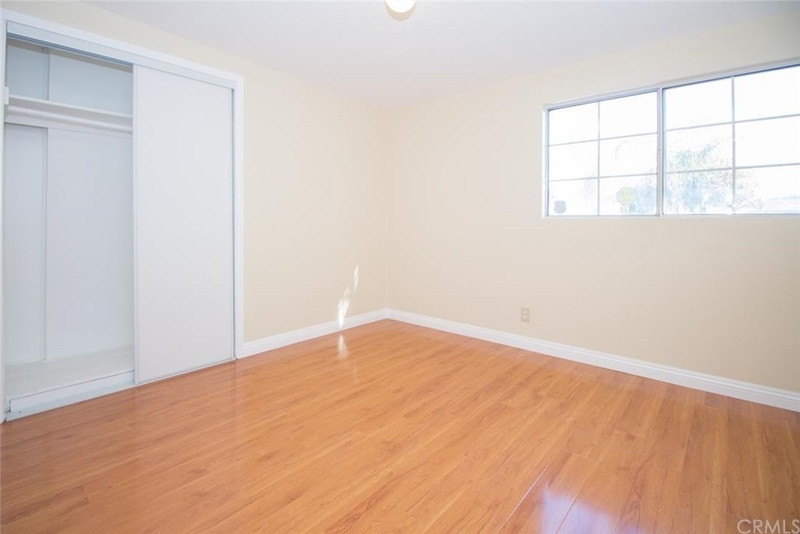 Two bedrooms sit at the front of the home, and two sit at the back. 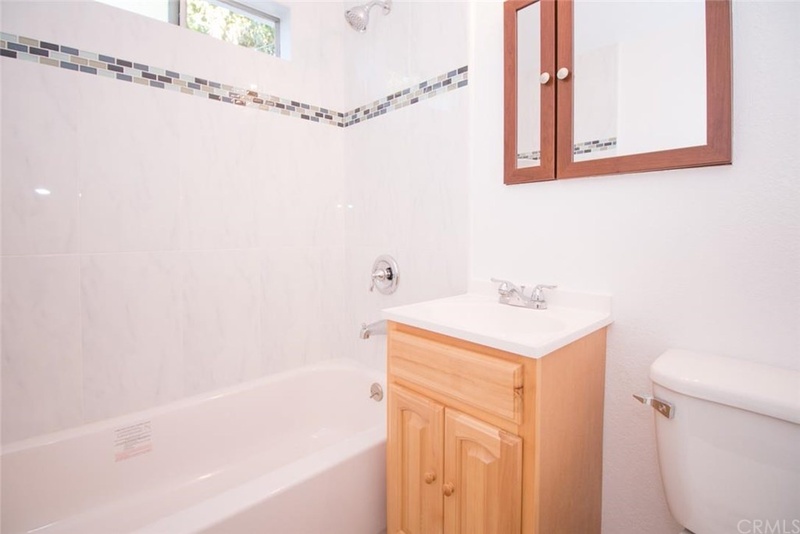 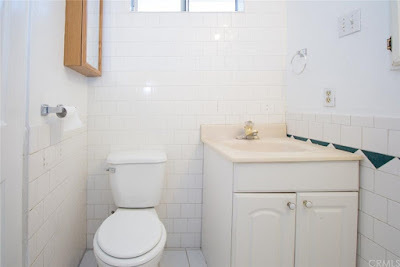 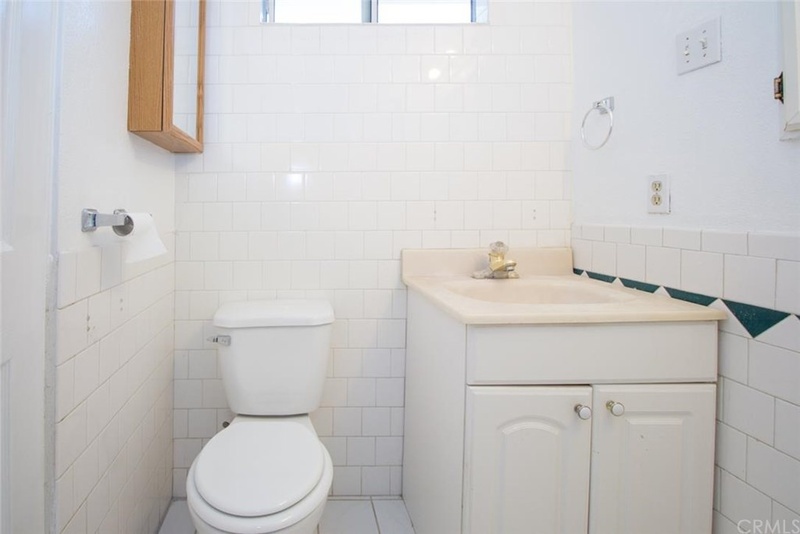 Both bathrooms have been updated with fairly plain materials, and are fairly tidy and well kept. 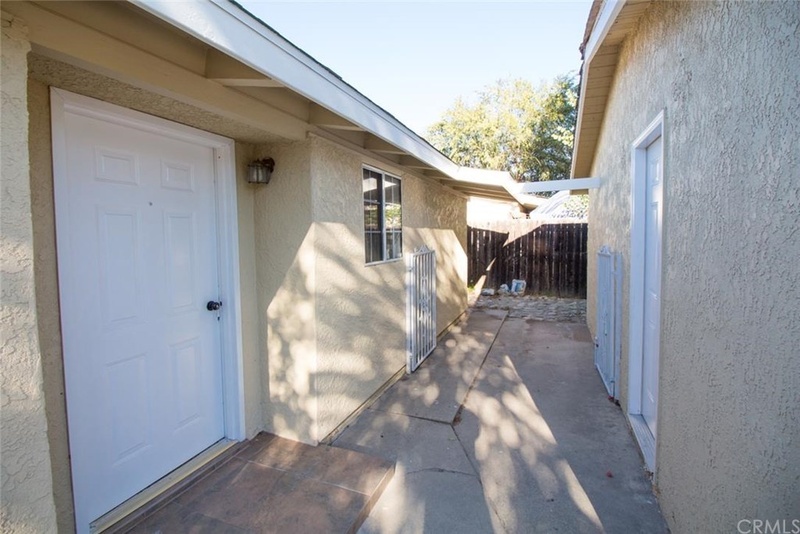 The backyard is pretty much a blank slate, with a patch lawn area and concrete patio. 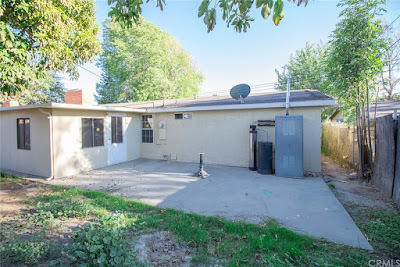 Unfortunately, the hot water heater and water softener have been relocated to the back patio, placing necessary utilities in full view of the patio. 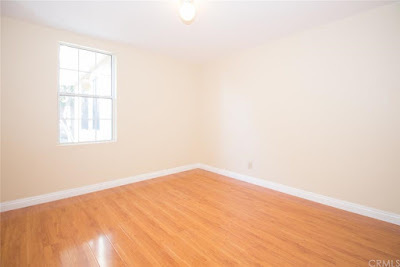 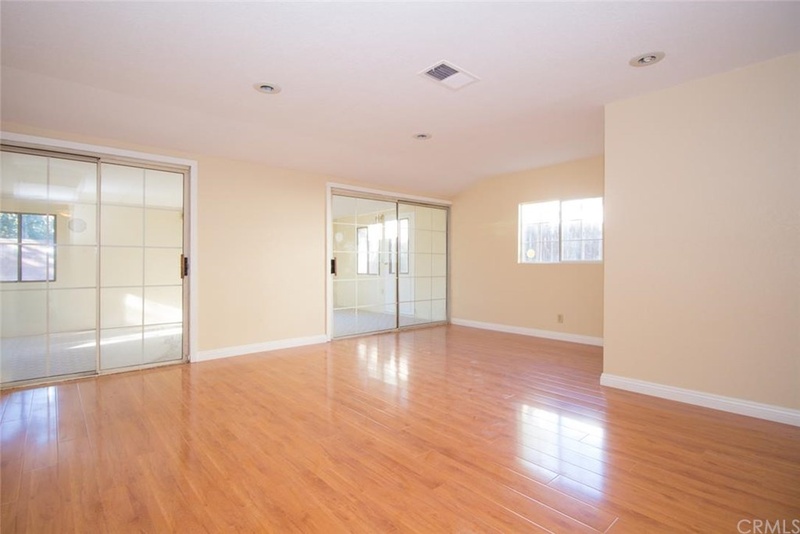 Valwood Estates always offers affordable housing options, and this home could serve as a great starter or rental, or even a long-term restoration for those not afraid of a challenge. Built in 1957 by the Alexander Construction Company is this butterfly-roofed Palmer & Krisel-designed 2,500 square-foot home in El Camino Estates. 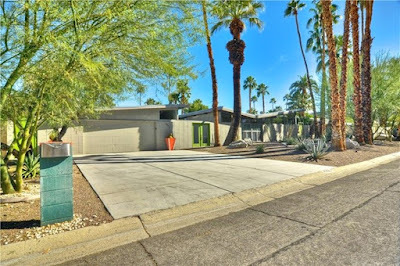 Situated just south of the iconic Twin Palms Estates, El Camino Estates consists of a handful of Palmer & Krisel homes, identical to those found in adjacent Twin Palms Estates, interspersed with several custom homes. 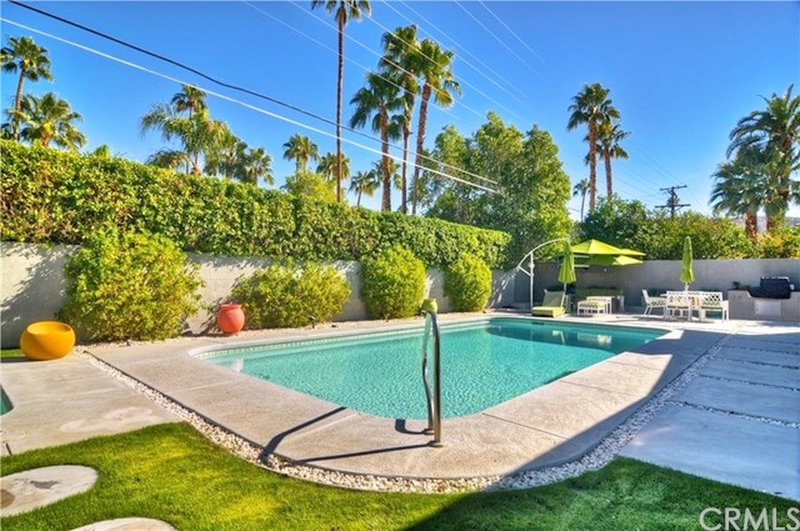 Expanded to now include four bedrooms and three bathrooms, this home sits on a 10,000 square-foot lot with an in-ground pool and spa and an asking price of $998,000. 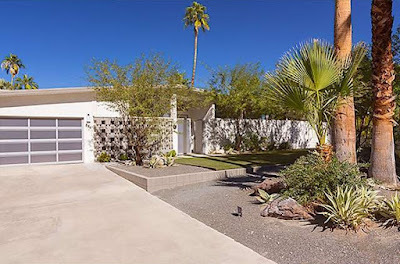 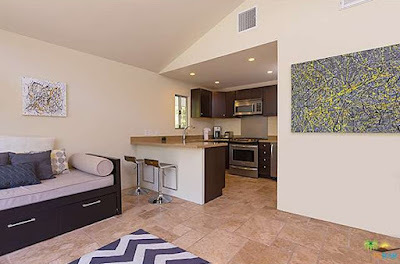 Renovated significantly over the years, the home still boasts its signature Krisel lines on the main portion of the home, with the original carport converted to a two-car garage with a guest suite at the rear and a pitched shed roofline. A private courtyard is accessed through a pair of green double doors, which leads to the reconfigured entry of the home. 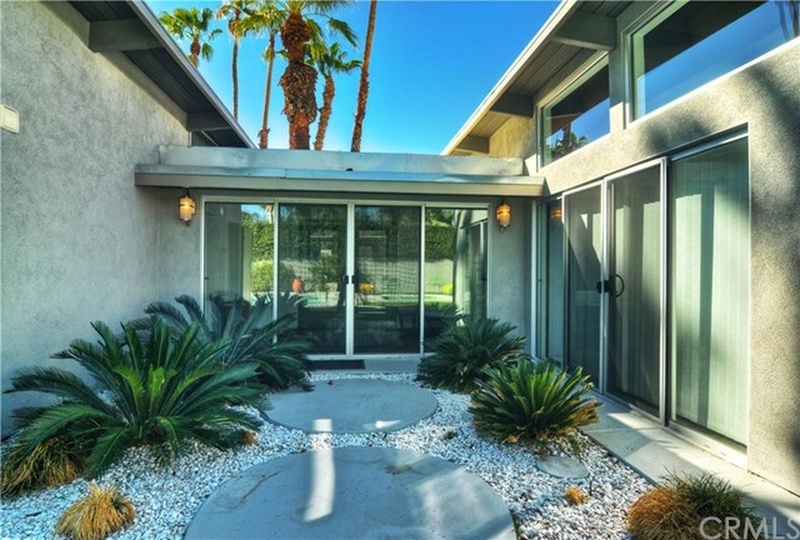 The new entry is a glass-backed vestibule that accesses the guest suite at the back of the garage, and leads to the original portion of the home. 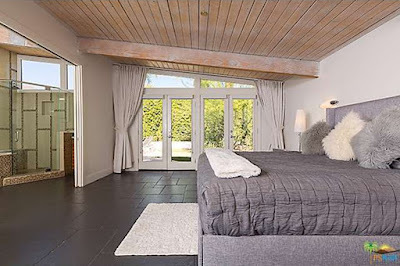 The living, dining and kitchen all sit at the rear of the home, while the three original bedrooms site at the front. 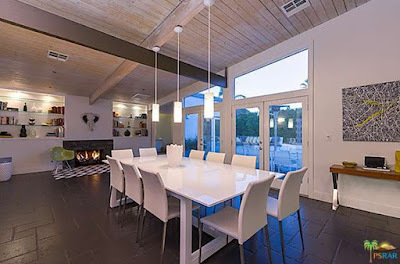 The high-ceilinged living room features walls of glass overlooking the swimming pool and grassy backyard, and is anchored by Krisel’s signature modernist fireplace. 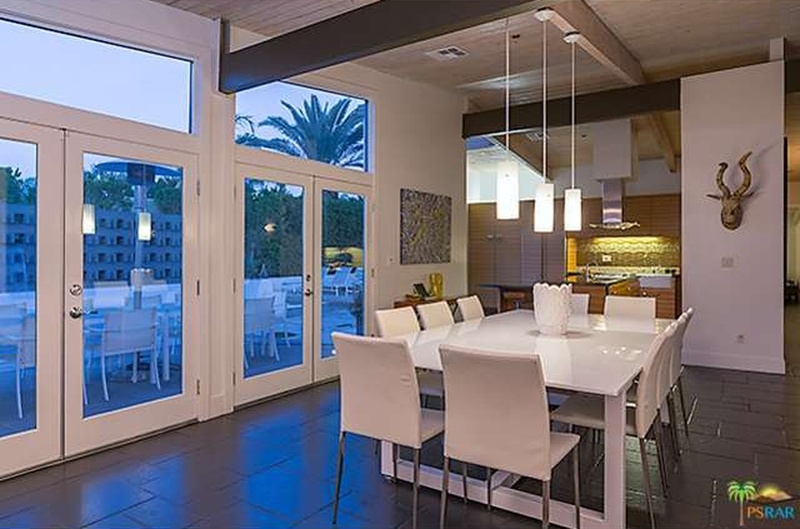 The dining room sits in front of a large sliding glass door, and is opened to the kitchen. 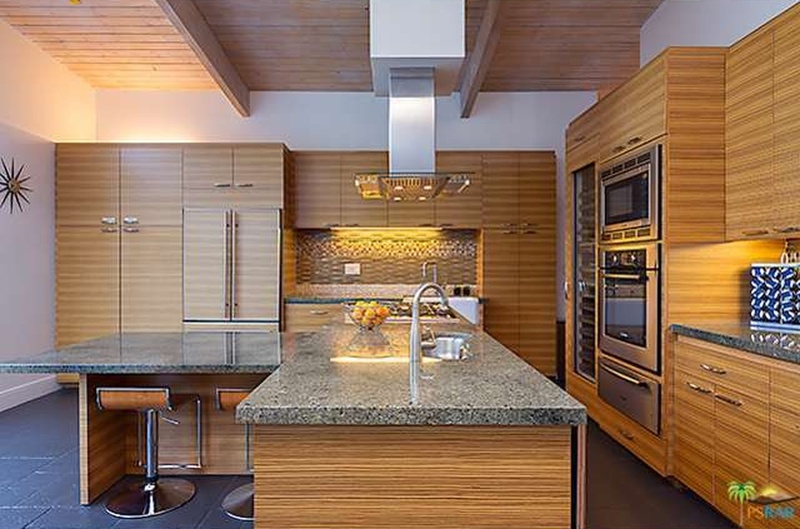 The kitchen features an open granite peninsula between it and the dining room, allowing for light to flow between the two rooms. The cabinetry is dark shaker-style, with frosted glass paneled doors on some of the upper cabinetry. 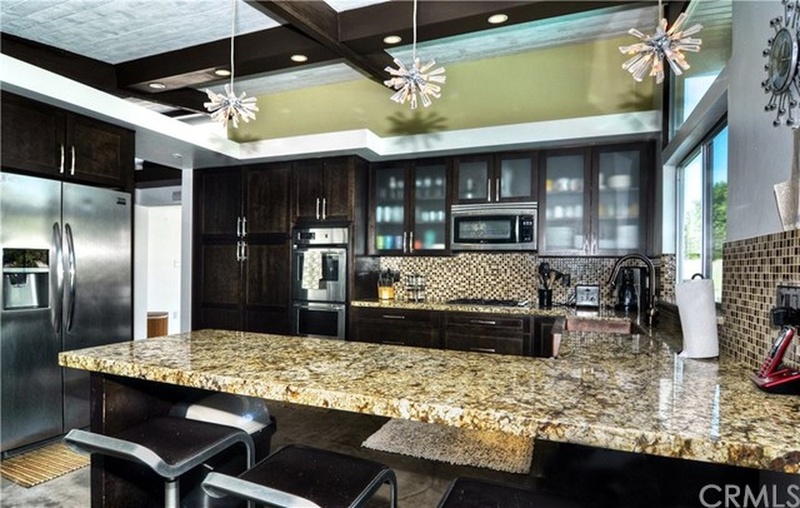 Stainless steel appliances and mosaic backsplashes complete the room, which overlooks the backyard. 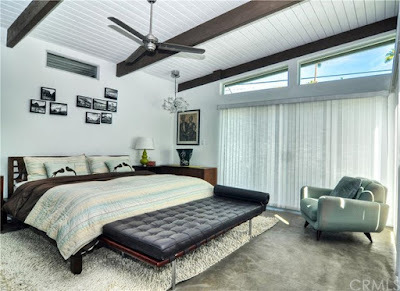 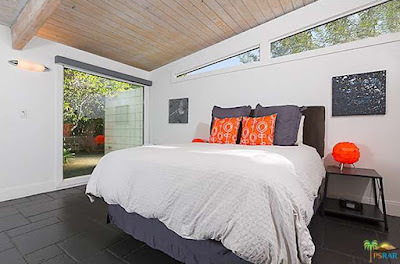 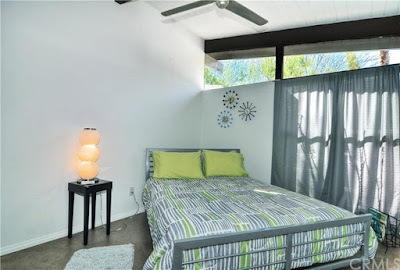 The original master bedroom sits at the front corner of the home, and overlooks the side yard with expanded clerestory windows wrapping around the corner of the room. 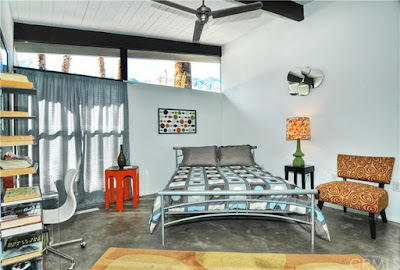 The additional two guest rooms both face the front yard, and feature their original clerestories and vaulted ceilings. 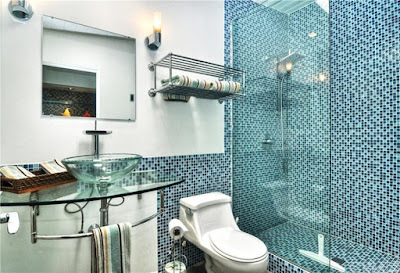 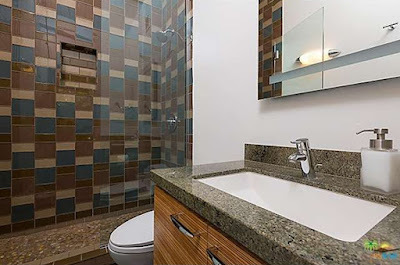 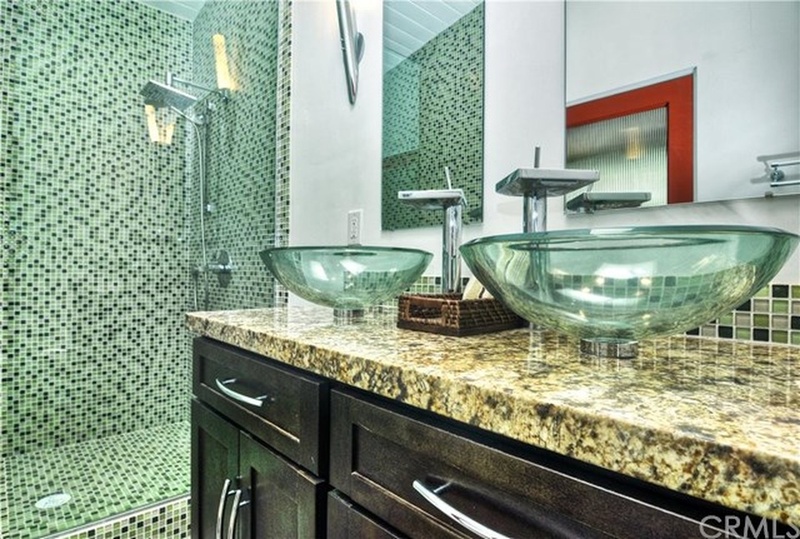 Both the bathrooms have been updated, with mosaic tilework, glass vessel sinks and large, walk-in showers. 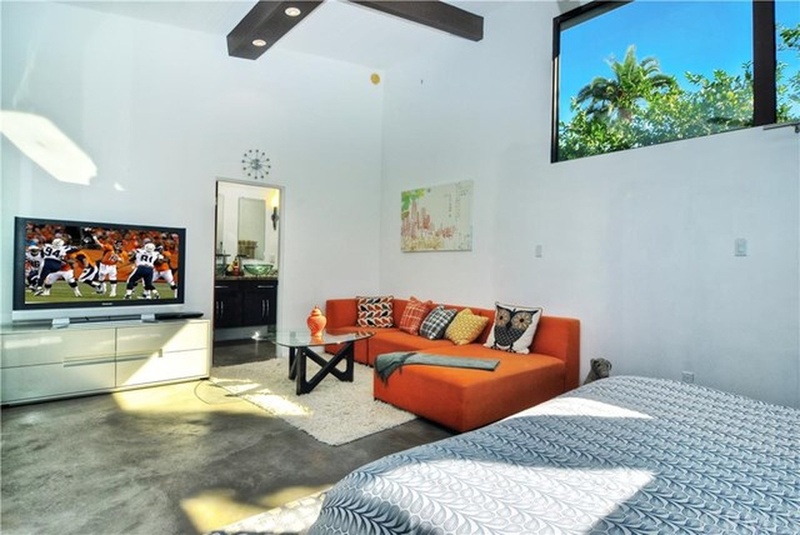 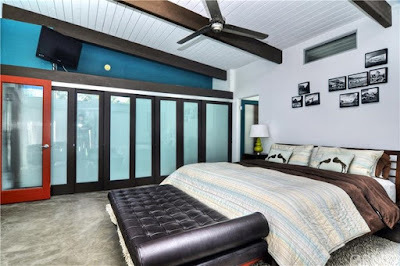 The suite at the rear of the two car garage contains a private bedroom and bath, and has been constructed in a manner which compliments the style of the home, with vaulted ceilings, clerestories and large sliding glass doors that overlook the backyard. 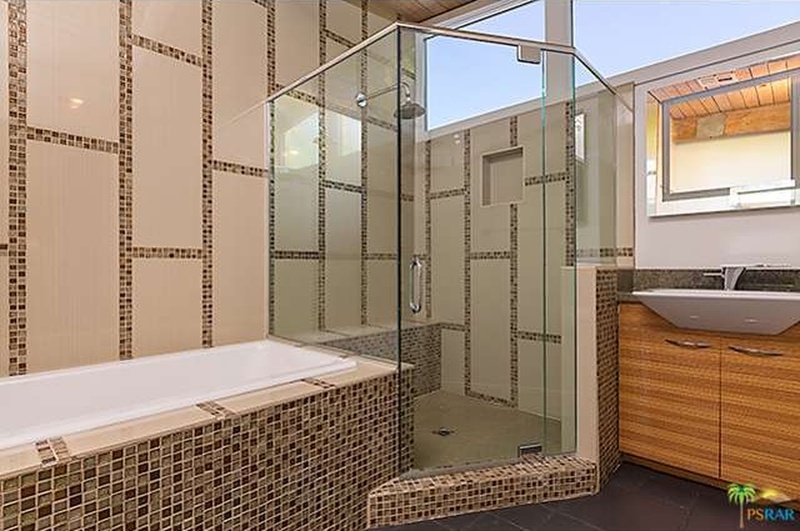 The bathrooms is finished in the same style as the two found in the original portion of the home, with vessel sinks, a large step-in shower with mosaic tilework and cabinetry which matches that found in the kitchen. 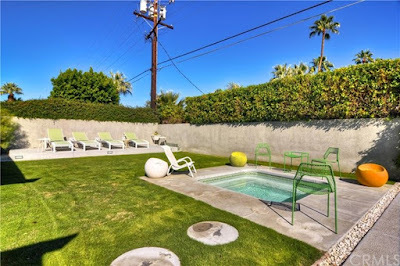 The backyard contains the original 15’ x 30’ rectangular Alexander swimming pool surrounded by a rich, lush lawn. 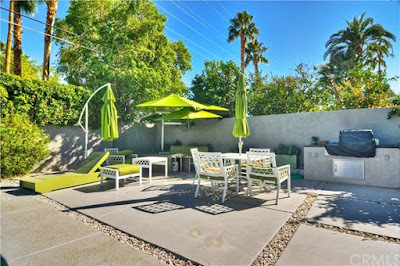 Various patio areas give numerous entertaining options, and an in-ground spa has been added to the north end of the backyard. A built-in barbecue sits at the south end of the yard, and neighboring large green shrubs add privacy to the space. 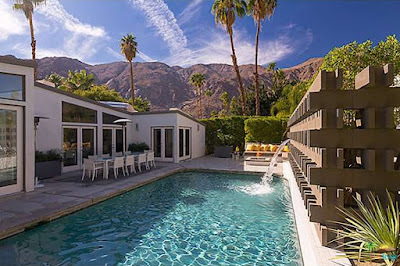 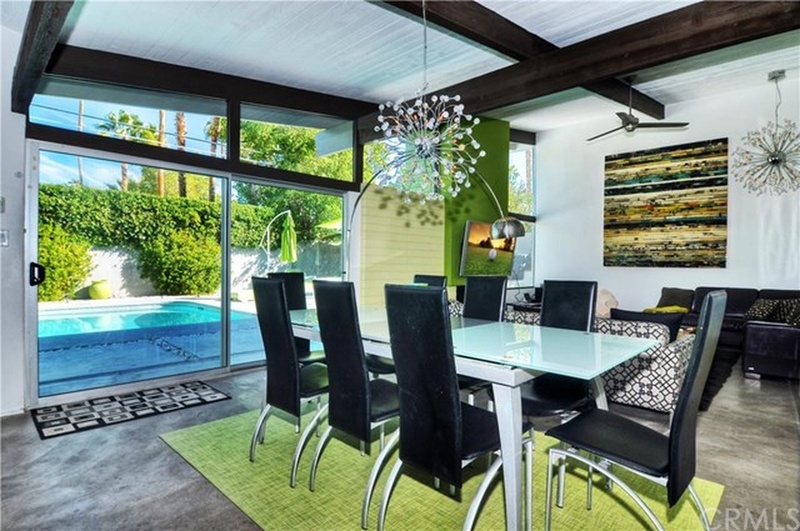 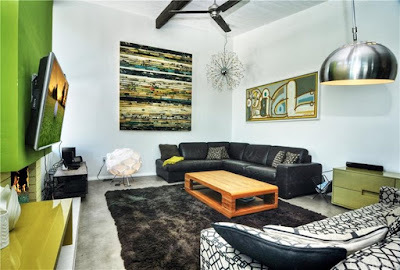 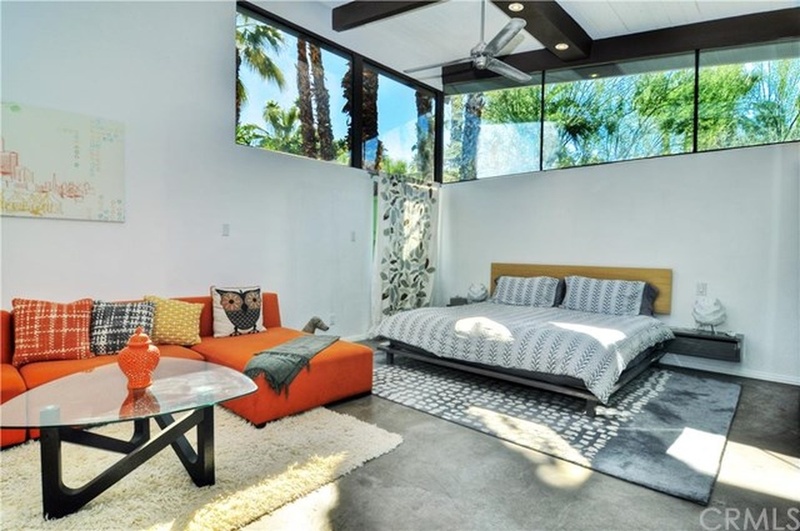 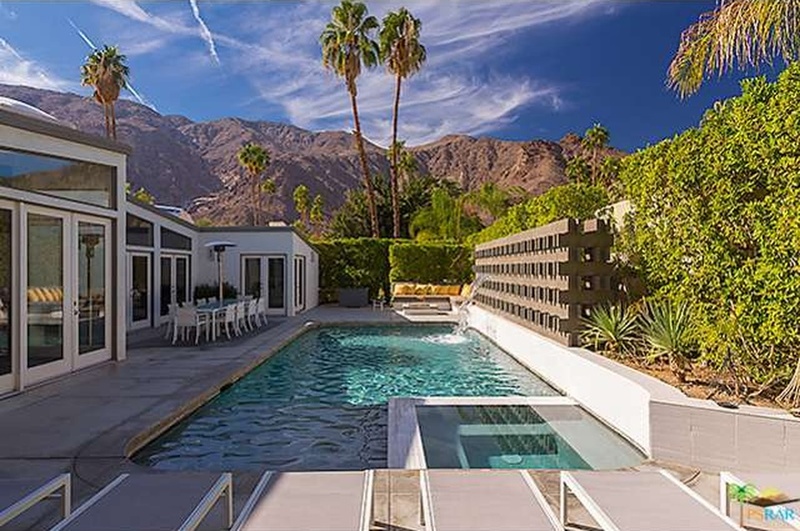 For this seeking a contemporary take on a midcentury modern classic, be sure to check this Palm Springs beauty out.